Owned by Angela Blocker, Studio Detroit Dance Center is a multipurpose dance studio that offers a myriad of services to the Detroit community and its surrounding metro areas. It serves dancers of all talent levels by offering a reciprocal learning environment experience. New, inexperienced dancers are able to garner skills and tips from seasoned professionals, while the professionals are inspired by the aspirations, passion, and innovative approaches of new students. Let the City be your Stage. 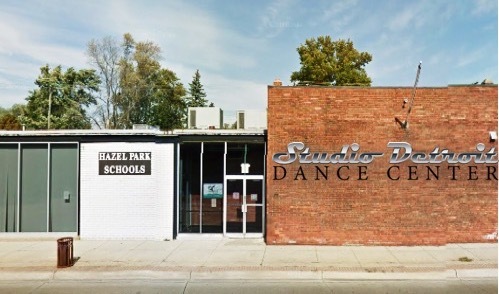 Studio Detroit Dance Center is a multipurpose dance studio that offers a myriad of services to the Detroit community and its surrounding metro areas. It serves dancers of all talent levels by offering a reciprocal learning environment experience. Angela, possesses an extensive performing portfolio. She has studied at a number of detroit-based dance studios and has earned the opportunity to perform in notable productions including The Cincinnati Ballet Nutcracker, The Universal Circus and danced back-up for the late Aretha Franklin. Studio Detroit’s close-knit and ambitious team can help you or your little one realize an untapped potential for creative expression through movement or to simply embrace and hone the skills that you have already discovered. Studie Detroit trains a myriad of students starting at ages 2 years old and up. View the strongest part of SDDC here in our student photo gallery! The facility maintains multiple fully equipped studios and it provides classes spanning several genres including ballet, jazz, hip hop, dance fitness and more. SDDC also hosts private events for lan occasion. Additionally, it facilitates rehearsals, casting calls and auditions. Studio Detroit Dance Center is the epitome of the renaissance now taking place in Detroit as it is operated by a Detroit native who aims to breathe life back into the fading focus on performing arts within the community. through which the body recites a poem. As a native Detroiter who grew up dancing her whole life, Angela is personally invested in guaranteeing children from her community are exposed to the same cultural experiences that made her the well rounded, concerned and accomplished woman she is today. Your first visit is only $15!